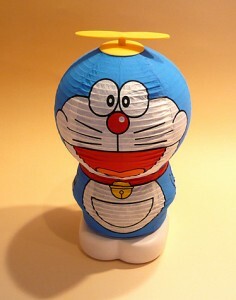 This is a Japanese anime Doraemon’s shape lantern. The material is Japanese Paper (Washi). It is looks like Japanese paper lantern “Chochin“.